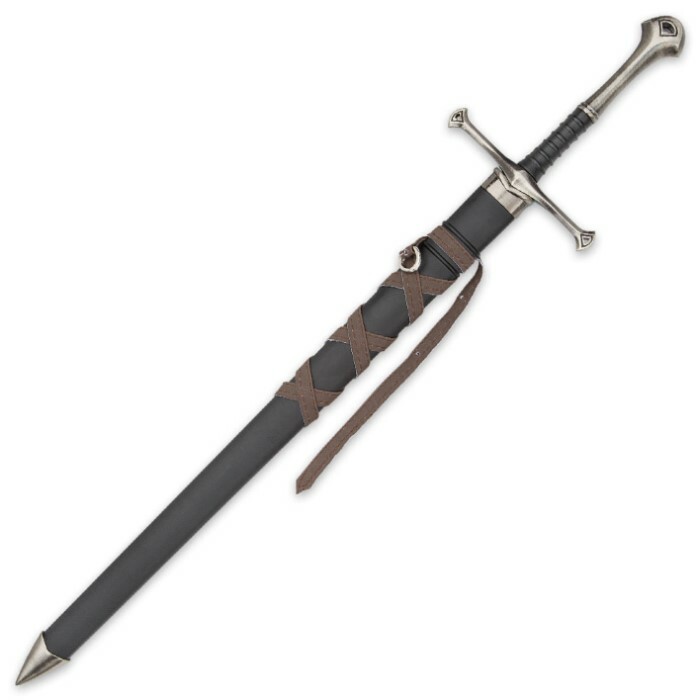 A great replica short sword that will be appreciated by collectors and reenactors, the Middle Ages Warrior Short Broad Sword gives you the best of both worlds with display and functionality. 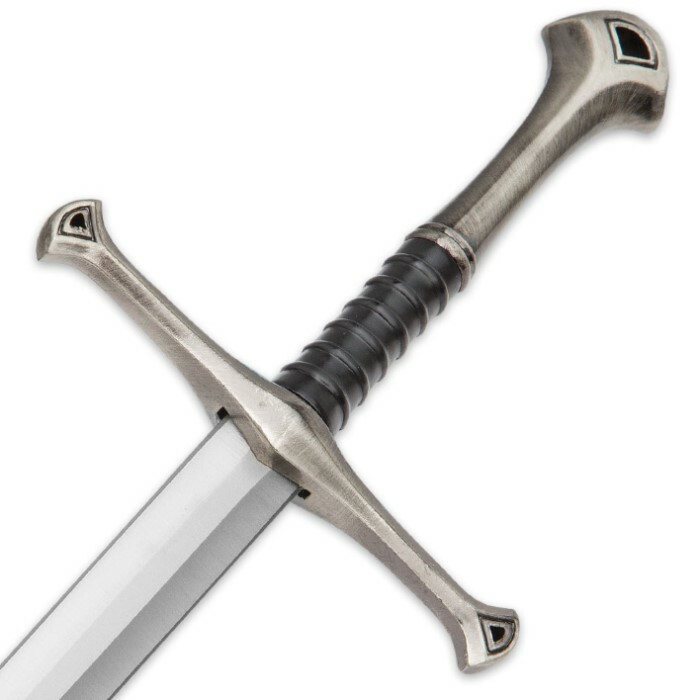 It features a sharp 17” double-edged stainless steel blade that comes to a sharp point. The metal alloy familiar cross-shaped handle and guard have the look of pewter and the handle has a very slim profile, which gives it a nice lightweight feel when you hold it. 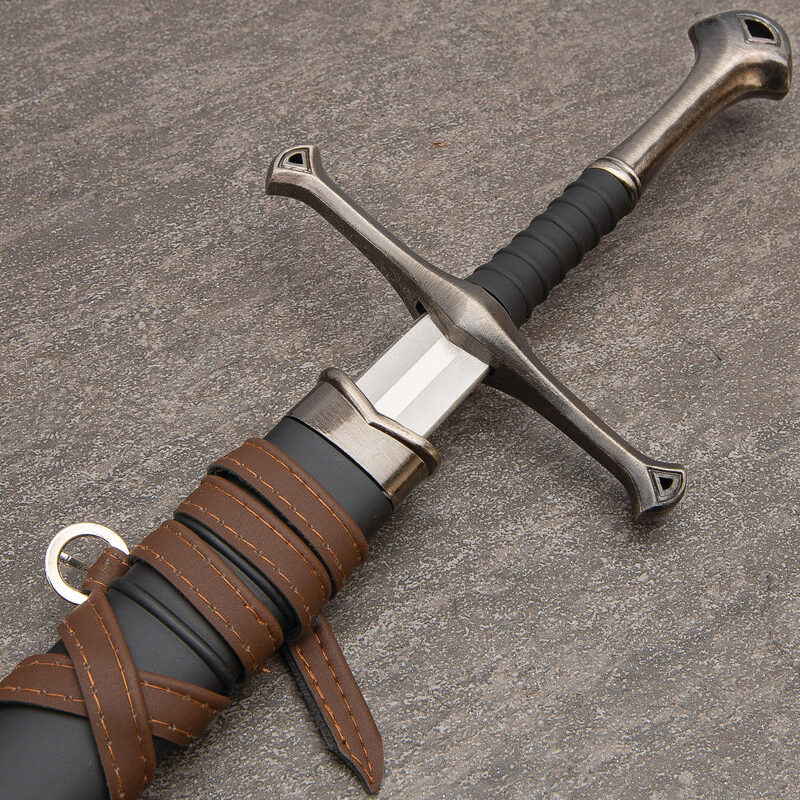 A black composite sheath with leather wrappings and metal accents complements the sword. Just recieved mine today. It's a beautiful little piece, sturdy and fairly sharp, it would totally work as a fine little dagger. Very small handle but still a great buy it did come sharpened. Just wish the handle was bigger.